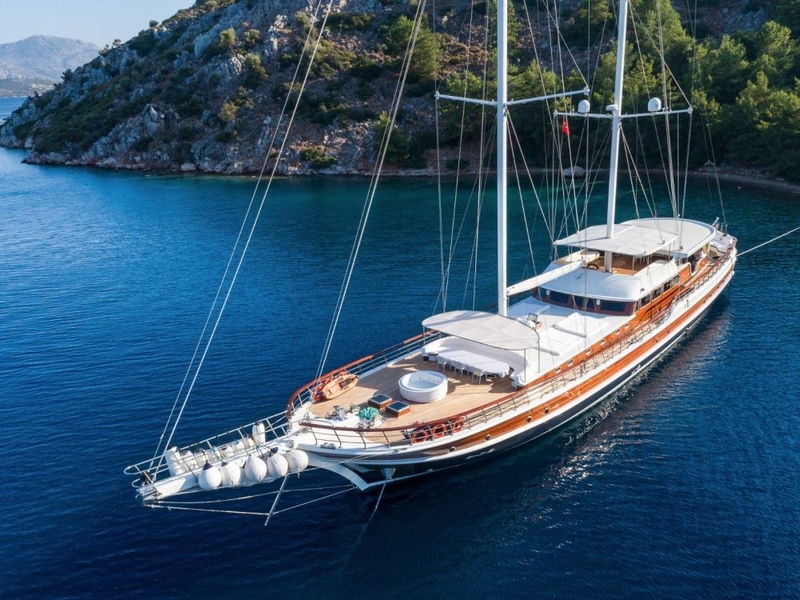 If you love cruises but hate masses, then a gulet yacht cruise is for you. 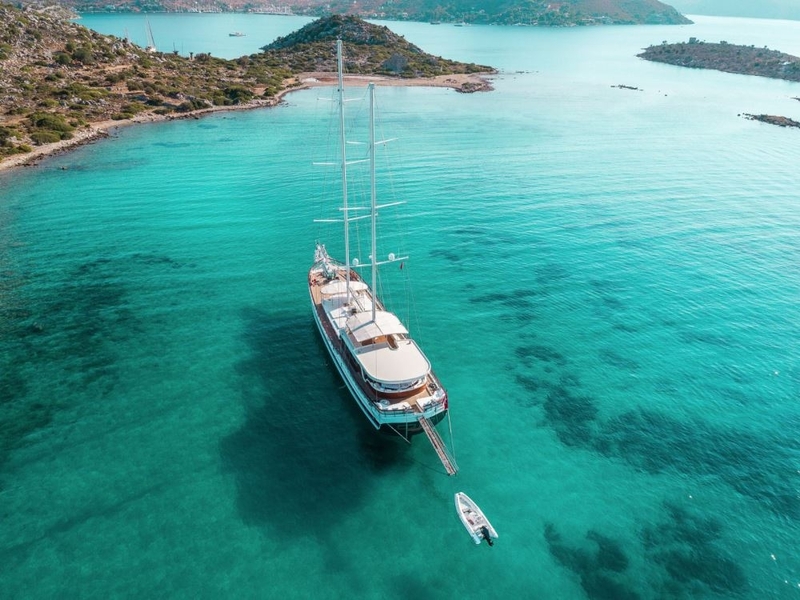 We have some of the best yachts in the world available for private charter around the Turkish coastline and in combination with the beautiful Greek islands. 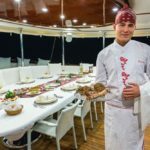 Our gulets are ideal for a group of a family with children or teenagers, a group of seniors who seek a mixture of beautiful nature and great cultural tours or just a group of friends. 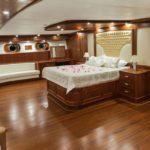 Our luxury gulets are available for private charter and can accommodate from 6 up to 20 people. 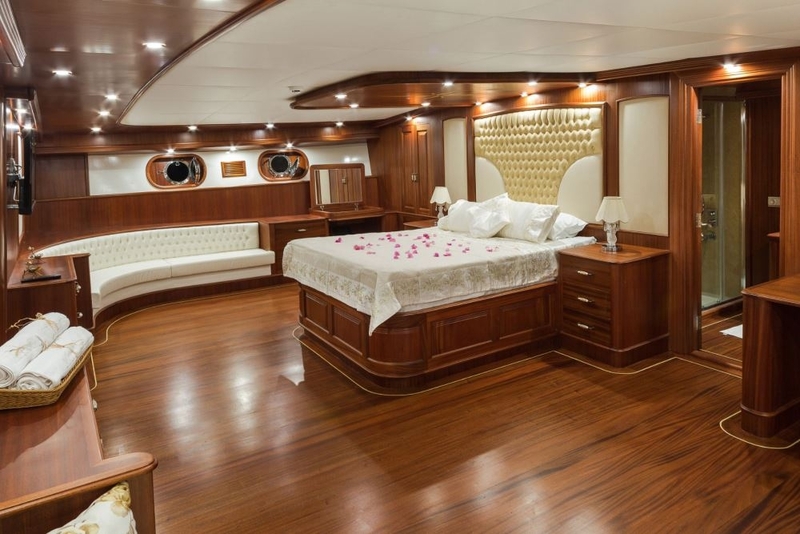 They feature comfortable cabins, large deck space, nice salon, and a vast range of water-s ports toys. 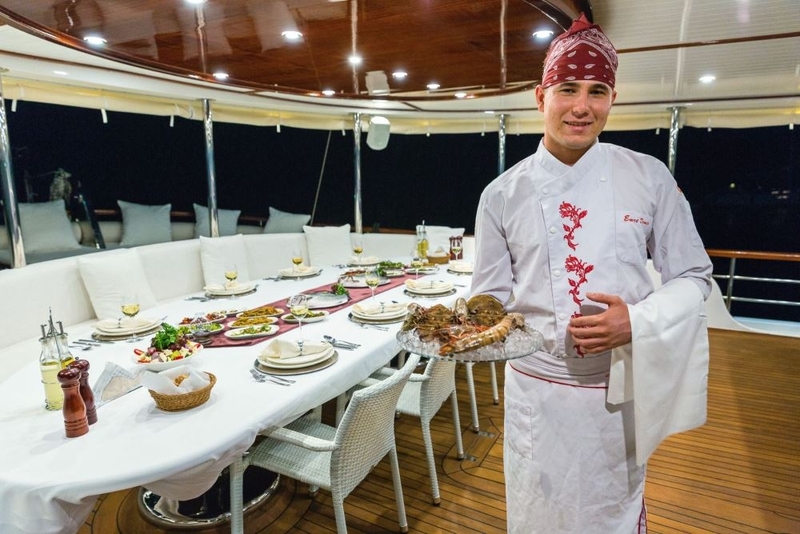 There are at least 3 crew members on board including the captain, the sailor and the chef de cuisine. 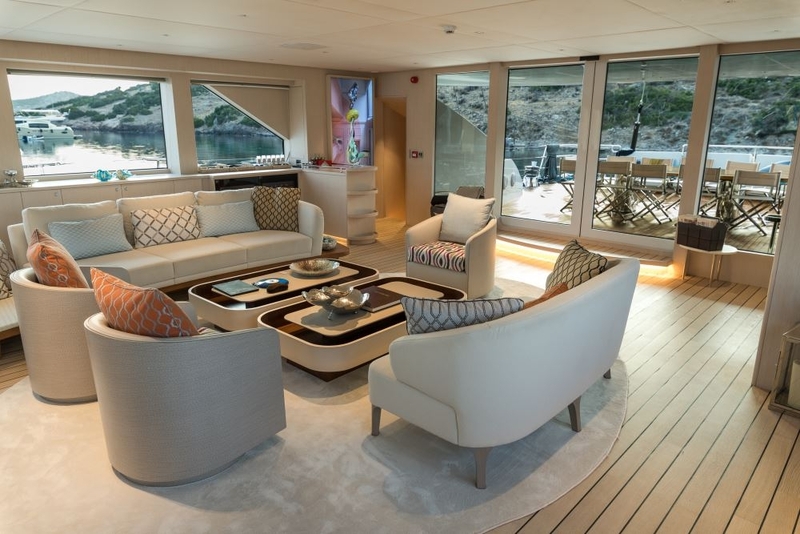 Some yachts have up to 8 crew members. 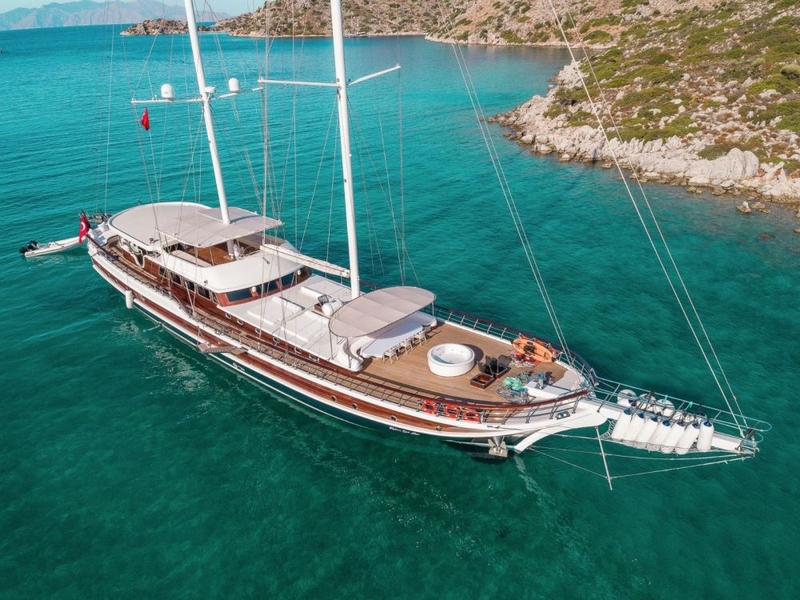 Whether you are looking to explore the Turkish coastline or seek for a mixture of Turkish cities with ancient Gree k islands, the decision where you go is completely up to you! 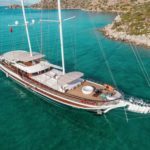 On board, you will be provided by high-end service, an incredible level of comfort and luxury, access to some of the exquisite locations, beaches and secluded bays in Turkey. Our mission is to make it happen for you and ensure that it’s a truly outstanding vacation. 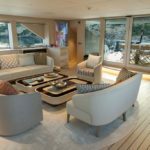 *The most exquisite locations you can’t afford to miss! 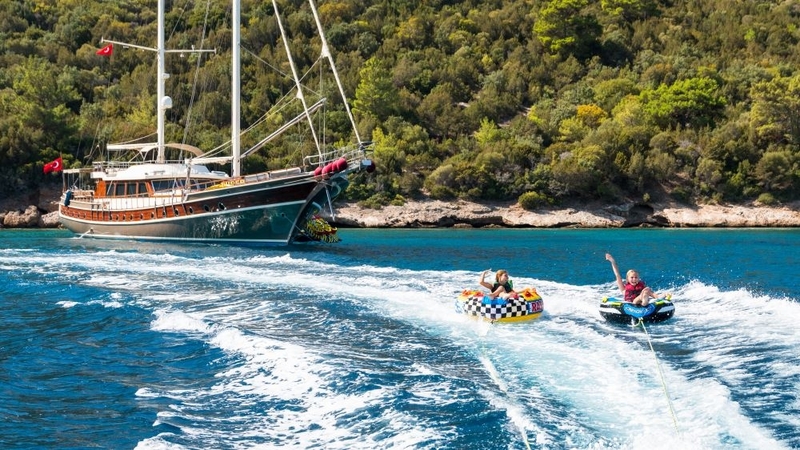 *Popular local and touristic activities – that suit your group preference. *How to combine it all together so that you get the most out of your cruise.